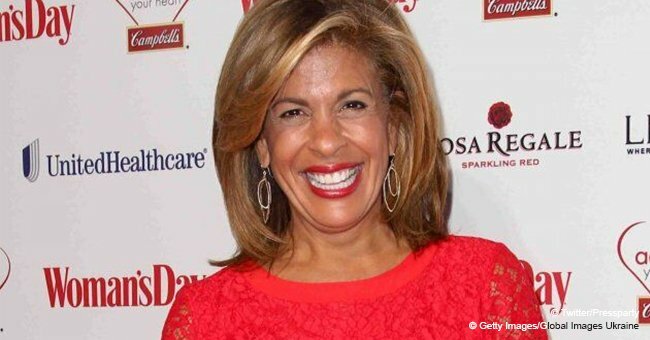 Everyone knows that Hoda Kotb is a huge New Orleans Saints fan, so it comes as no surprise that she is unhappy about their loss. But it's her daughter's shared reaction that has the internet in tears. 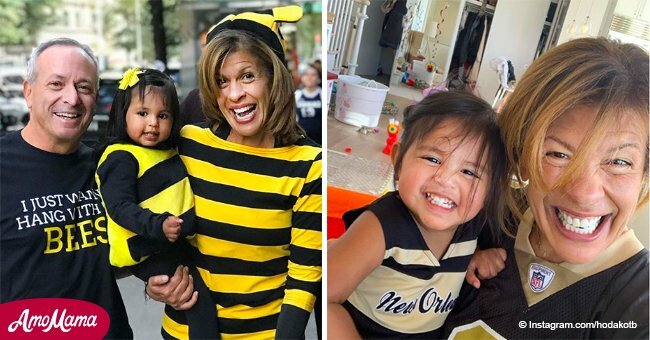 "Today" fans know that Kotb, a longtime fan of the team, would be devastated that the Saints did not win a spot in next month's Super Bowl, and her daughter's hilarious reaction mimicks her feelings to the tee. Haley was snapped in the picture sitting with Karen Swensen, a close friend of Hoda's from New Orleans, and her teenage daughter, Catherine. "The face I made this morning when I realized it wasn’t a bad dream. We love you @saints !!!! Next year baby! #blessyouboys"
The girls' moms worked together at CBS affiliate WWL in New Orleans way back in the nineties and have remained good friends ever since. A picture posted during the game showed all four of them on the couch with even Haley's Elmo kitted out in a Saints jersey. After the referee missed a call during Sunday's NFC Championship Game, the Saints conceded defeat to the Los Angeles Rams with a score of 26-23. No doubt Kotb woke up on Monday hoping the controversial end to her hopes for her team winning was nothing but a nightmare. Haley making her best angry face for the camera hopefully diffused any hard feelings instantly. Kotb's co-host and Philadelphia Eagles fan, Savannah Guthrie, 47, wore a gold and black Saints jersey and sang "When the Saints Go Marching In" to commuters in the New York City subway after she lost a bet. Guthrie's team suffered an embarrassing 20-14 defeat to the Saints almost two weeks ago and Kotb held her to the terms of their agreement, making sure she carried it out by going with her. 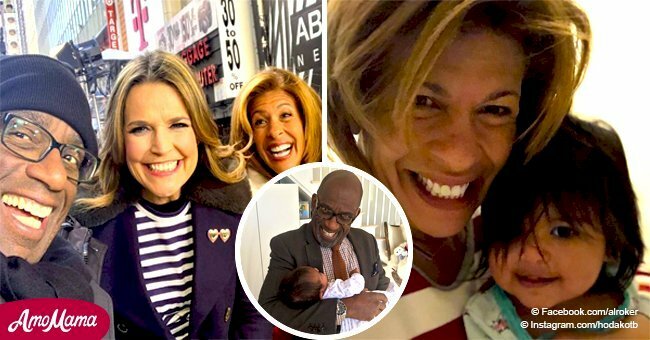 Ever since Hoda adopted Haley in 2017, fans can't get enough of the little one and shower her Instagram with likes the second they see her little face. Kotb's brush with breast cancer, leading to a mastectomy and reconstructive breast surgery, is the reason she chose to adopt, reportedly being unable to bear children. “Hoda Kota is my Egyptian sunrise. The only thing bigger than her smile is her heart"